When it comes to getting the Titans and cornerback Cortland Finnegan on the same page, it’s for sure easier said than done. Reports are the two side are far apart in talks towards an extension to keep him with the team. The two sides spoke on Friday, but no numbers were exchanged. Finnegan’s agent, Terry Watson, is seeking a contract similar to the five-year, $48.75 million contract that Johnathan Joseph received from the Houston Texans last off-season. A Pro Bowler in 2008, Finnegan has 473 tackles, six quarterback sacks and 14 interceptions in his 93-game career with the Titans, who selected Finnegan in the seventh round of the 2006 NFL Draft and signed him to a three-year, $15.4 million extension after his first full season as a starter. 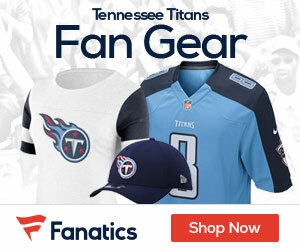 To franchise Finnegan is projected to cost the Titans around $10.5 million in 2012.